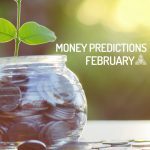 Looking for money predictions for February 2019? Stars have shown what to expect for February 2019 in what comes to money. Come and check it out. On February 14th, Mars will enter the House II of Aries, which for its natives represents an opportunity to generate more resources, putting into action the plans developed, during the presence of the asteroid Juno in this location (up to February 10th). Mars in the II House of Aries favours the activities oriented to obtain economic funds, and work for its sustained growth, in long and medium term projects, leaving aside the desire for immediacy. However, this traffic also increases the propensity to heavy spending on luxury items, or objects that generate pleasure and comfort. At its highest vibration, Mars in the House II, will push you to fight for your economic security and personal stability. Another aspect that you must bear in mind, during February 2019, is the influence that the Full Moon of February 19th in Virgo will have on the House VI of your sign, area that governs the work, the domestic routines and the health. In what comes to labour matters, the lunar event points to the completion of a cycle in a work area or within labour relations; this does not necessarily imply a dismissal, but it can be the closing of a project, or the integration into a new team. It is a favourable period to evaluate your productivity, and decide on what strategies to implement to be more efficient, without it being a detriment to your living conditions (do not overdo it and respect the rest of your schedules). Keep in mind that there is a current process of change, aimed at reformulating your perception, in relation to the professional career, the idea of success, the mission of life, and the image you present to the people around you. This vision is driven by the presence of Saturn and Pluto in the X House of Aries, so it is not something that will happen from one day to the next, but it will take its own time. The fact that the South Node is in this same location (House X of Aries), during 2019, reinforces this trend, and alludes to the need to get rid of the old, which no longer contributes to the present and the future. The Japanese term “Ikigai”, translated by some as “the reason for being”, can translate the search that supposes for Aries, the presence of Saturn, Pluto and the South Node in the House X of the sign. Broadly speaking (simplifying as much as possible the concept), the Ikigai is to live in a state of consciousness where they converge (in balance): mission, passion, vocation and profession, (what you love to do, what the world needs from you, what you are paid to do, and what you are good at doing). It is worth noting that, in 2019, is a precious period in which you must prepare the bases and structures for what is coming in 2020, when Jupiter (planet of expansion) imposes its influence on the X House of the ram. Currently, Jupiter is located in the IX House of Aries, where it strives to promote academic preparation, professional contacts with people abroad, and paperwork related to publishing, and international affairs. This planetary position favours especially the students of the sign, and those who exercise functions of counselling, mentoring or teaching (teachers and tutors). Another aspect that you should pay attention to, during February 2019, is the New Moon in Aquarius of February 4th, which will affect your House XI and suggests new team projects that will infect you with enthusiasm. More predictions for February here. Juno will enter the Taurus House II on February 11th. After a season in this sign, where he stressed the importance of self-care, now the focus will be on improving the management of material resources, with a view to the consolidation of personal goals. The asteroid of the commitment will place limits on the frivolity, sponsored by Eros during its passage through the same location (House II of Taurus), transit that will end on February 19th, when it enters the House III of the sign. Remember that Jupiter is kept in the VIII House of Taurus, where it will continue until December 2019, which means that more resources will be perceived by the couple or family. In the same way, family businesses will be favoured, as well as trust in relationships, and the work of conscience (something also referred to by Chiron in the XII House of this sign, since February 18th. In the workplace, the start of the retrograde of Pallas in House VI de Taurus, can cause problems with time management. It is a good time to review your work routine, and apply productivity tools. For example, you can incorporate a planner or whiteboard, and make a record of pending tasks, in order of hierarchy (from greater to lesser importance or urgency). Do not forget to add a column (in which to settle your achievements), and point out a finite number of tasks. The idea is to feel motivated, not overwhelmed by the circumstances (broken or add new activities every week). Another option is to use the Pomodoro technique (dedicate specific time blocks to the development of each task, with programmed rest periods), and applications to block the use of social networks in telephones and computers, if they are not part of your professional dynamics. Another aspect to consider, during February 2019, is the New Moon in Aquarium of February 4th, which will touch the X House of Taurus and translates into opportunities for projection at work. The energy of the lunar event is aligned with the entrance of the Sun in the XI House of Taurus on February 18th, location where Neptune and Mercury are also located as of the 10th of the same month. These planetary movements allude to inspiration and support received, through contact with the group of friends or colleagues, so that social and work meetings will be especially favourable. Last, but not least, the presence of Pluto, Saturn and the South Node in the Taurus House IX, indicates that it will be necessary to have patience in the management of international or academic procedures. Even if you do not get the quick answer you expect, the wait will be worth it to get a favourable response, or a new deadline. Remember that you are working for your future, so do not push time. The North Node will remain in the II House of Gemini during 2019, which means that it is a period dedicated to studying the idea of the value you give to yourself, the people and objects of your environment. There is a call to build what you want, without waiting for others, trusting your abilities and personal power, instead of basing your security on external factors (especially material objects). These lessons can be transferred to the financial field. The fact that the asteroid Eros enters the House II of Gemini, on February 19th, can promote self-indulgence in expenses, but if you are clear about your true goals, you will avoid distractions. On the other hand, the South Node in House VIII of Gemini, where Pluto and Saturn are also located, refers to leaving the control patterns that may be limiting your confidence in others, in business matters. Likewise, this alignment alludes to the contrary tendency, that is, leaving the responsibilities in the hands of third parties, to evade doing your part. Both extremes are harmful, so it is up to you to find the balance. In the labour field, the entry of the Sun into the X House of Gemini, on February 18th, where Neptune and Mercury are also found (the latter, from the 10th), speaks of a new impulse in the professional activity. The Sun in the X House of Gemini points to deserved recognition for the work done, new projects and the possibility of receiving the help of a mentor or advisor with a background. In the same way, the presence of Mercury in this location (House X of Gemini), suggests the appearance of different professional opportunities (within the same company, another institution or a personal endeavour). Another event to which you must pay special attention, during this period of the year, is the New Moon in Aquarius on February 4th, which will directly affect your House IX. The New Moon in Aquarius will be the perfect opportunity for you to match your intentions, related to team work, website publication, international projection and learning new languages. Remember that Lilith is also present in the IX House of Gemini, which means that you must overcome your inner critic, rather than the external demands, which are only a reflection of the main situation. Important: February 18th will start the retrograde of Pallas in the V House of Gemini, this transit can generate creative blocks, which will only be overcome if you invest time in organization, and prioritize your tasks, giving them more attention. Finally, the entry of Chiron in the House XI of Gemini on February 18th, marks the beginning of an era in which friendships are put to the test, as well as your awareness of the collective and respect for your individuality. During the first half of February 2019, the Sun and Mercury will be in the VIII House of Cancer (the communication planet will leave this position on February 9th, followed by the king, on the 17th. This transit refers to the financial support that is perceived through the family or the couple; also, it suggests that it is possible to increase the family income, diversifying the investment fronts. Although the opportunities are there, it will not be an easy task to take the necessary measures, but there is general agreement on the subject. Trust is the pillar on which the agreements must be based, not the single benefit of one party over the detriment of the other (almost always the one that places the greatest effort in the task). The New Moon in Aquarius of February 4th, will affect the VIII House of Cancer, and will be the perfect moment for everyone involved to place the cards on the table, and can trace a common goal. In the workplace, the presence of Jupiter and the dwarf planet Ceres in the VI House of Cancer, favour the activities in a harmonious work climate, and the active participation of colleagues. However, you must be alert to the entrance of Mars in your House XI on February 14th, which can feed the competitive spirit within the work team. If the energy is channelled positively, the members of the group will unite to reach the goal in the shortest possible time; otherwise, they will rival each other, making it impossible to achieve the goal. With Jupiter in the VI House of Cancer, you can take the leadership and guide your collaborators in this season, so they do not lose their way. However, you must be careful because this planetary position can lead you to commit excesses, such as overworking or placing on your shoulders the responsibilities of other people, in the interest of completing the task. On February 18th, Chiron will enter the X House of Cancer, which involves an extended period of time in which you must assess the concept of success, and the perspective you have on your career and life mission. In this sense, to find your professional identity, you must put aside the desire to have the approval of the individuals in your environment, and fight for what you really want, no matter what they say. On the other hand, the entry of Mercury and the Sun into the IX House of Cancer (on February 10th and 18th respectively), will favour the students of the sign by clarifying their immediate objectives, and granting the recognition they deserve for the achievements (if they worked for it). In the same way, this alignment will promote positive results for Cancer, especially those who are coordinating trips or moving abroad; partnerships with international partners; and participation in forums, seminars, workshops and congresses. The finances will have a positive balance for the natives of Leo. The entry of Mercury and the Sun into the House VIII of the sign (on February 10th and 18th respectively), refer to business opportunities, which are received through family or the couple. As in this sector of the astral map (Leo’s House VIII) is also Neptune, it may be a project that you had envisioned a long ago, and for one reason or another, you did not feel the confidence to present it to your immediate environment and get your support. You cannot forget that Jupiter and Ceres are in your House V, which alludes to an idea that you feel particularly passionate about, and in which you hope to turn all your creative potential. Additionally, the Full Moon in Virgo on February 19th will touch Leo’s II House, pointing to a new scheme in resource management (suppressing what is not necessary, and investing in what really matters or will help you build the future that you projected). In the workplace, it is important to keep in mind that the fact that Saturn, Pluto and the South Node are in Leo’s VI House, during 2019, exerts considerable pressure on this sector of the leonine astral map, related to routines, health and work. For the natives of Leo, this alignment shakes the foundations of the what they know, invites them to explore other alternatives in the professional, and study beliefs or conditions that, from their perspective, prevent you from taking action. With the arrival of Venus to this location (Leo’s House VI), on February 3rd, the perspective changes to what moves your heart (What do you really want to do? Do you love what you do?). On the other hand, the entry of Mars into the Leo X House, on February 14th, translates into a more aggressive attitude in the process of escalation within the corporate hierarchy (work environment), and obtain a solid leadership position. At this point the question is whether it is really what you want or are not responding to old conditioning, or social pressures. The entrance of the asteroid Juno in Leo’s House XI, indicates that it is vital that you maintain the commitment with your work team, if you want the same retribution, in the accompaniment of your individual initiatives. It is not necessary to take into account the arrival of Chiron to the IX House of Leo (on February 18th), which aims to build new beliefs; expand awareness through study, travel and contact with other cultures. February 2019, it will be a season in which Virgo’s natives will have to take special care with the management of their economic resources, due to the start of the retrograde of Pallas in the House II of the sign (February 18th). A manifestation of this transit is the lack of organization in the management of finances, but it can also be used to identify the patterns associated with money, and to put order in the accounts and expenses. The entrance of Chiron in the VIII House of Virgo reinforces this trend, from another perspective, by presenting both the risks of emotional and financial dependence; as what implies not trusting others, and learning to indulge in the process. In the workplace, the New Moon in Aquarius on February 4th, will touch the VI House of Virgo, translating as the opportunity of reinvention in work, but starting from what you really want, and not the expectations of third parties. This lunar event also aims to enrol in courses and workshops (again, giving priority to what you want), and the possibility of changing direction in terms of professional objectives. In this sense, the entry of Juno into the X House of Virgo, on February 11th, points to the commitment to the progress of the subject, so it is essential to check that your aspirations are aligned with your essence, and not with the interest (conscious or subconscious) of pleasing others. With the entry of Mars in the IX House of Virgo, on February 14th, which suggests an invitation to re-launch personal projects, oriented to learning (such as the New Moon in Aquarius), assume functions of tutor or advisor, schedule trips abroad or an investment option. It is worth noting that, although the initial impulse will be undeniable, you should not get frustrated by not getting immediate results, because you are working to achieve goals, whose results you will see in the medium and long term. The same applies to Virgo students, who will have to use patience and good sense and not push for the emergence of grades, which in the end will end up favouring them. Another aspect that you must bear in mind, during February 2019, is the entry of Venus into the V House of Virgo on February 3rd, an event that invites creativity and natural abilities to be used in the development of activities and tasks that they provide you with pleasure and an authentic interest. In general terms, the finances will remain stable for the natives of Libra, during February 2019. The entry of Mars in House VIII of Libra on February 14th, alludes to the confidence with which you will play a leadership role, in the management of goods and business, shared with a partner or family members. Mars in the VIII House of Libra works intensely, with pride, to materialize the proposed material objectives; however, it can also squander funds in risky companies if he insists on not consulting others. Assuming tyrannical attitudes can lead to confrontations with your loved ones; it is prudent that, faced with the possibility of a risky investment, consult the options with those involved. This does not detract from your leadership ability, but it presents you as a receptive person. Remember that Jupiter remains in House III of Libra, which means that interaction with third parties will be profitable, to broaden horizons, examine new alternatives, cultivate trust and know other lines of thought. In the workplace, the entrance of the asteroid Vesta in House VI of Libra, speaks of a special dedication to work routines (professional or domestic). In the same way, the entry of Mercury and the Sun in the same location (on February 10th and 18th, respectively), points to new proposals (within the current or other work place), and recognitions for the work done. Likewise, the appearance of a mentor or person of power who shows interest in your performance is possible. With the New Moon in Aquarium on February 4th (which will play the House V of Libra), a new creative project will fully capture your attention. On the other hand, the entrance of the asteroid Eros to the X House of Libra on February 19th, where the North Node currently stands, makes reference to the importance of being passionate about your purpose, and differentiating your true mission from what corresponds to the social pressures. If you are carrying out procedures associated with international processes (travel, removals) or studies, the entry of Juno into the House IX of Libra (February 11th) will exert pressure to commit yourself to the proposed goal, or let it go, in case of that you discover that it is not what you really want. The finances remain in positive balance for the natives of Scorpio, during February 2019, a trend that will continue most of the year, due to the presence of Jupiter in House II of the sign. In addition to Jupiter, the dwarf planet Ceres is also located in House II of Scorpio, which means that it is not only a year of economic expansion, but sharing experiences and resources. On the other hand, the entry of Juno into the VIII House of Scorpion (February 11th) points to the commitment in the management of shared property with family or partner. The subject will be cautious in operations that involve the common heritage, and will be willing to listen to the participation of those involved. In the workplace, the entry of Chiron in the House VI of Scorpio (February 18th) placed on the table patterns that attempt against your professional development, such as the tendency to over analyse what happens around, or the desire to “maintain the control” at all costs and in spite of how exhausting it can be. Chiron in House VI Scorpion (where he will remain until April 2027), focuses on showing what causes you discomfort, so you can expand your horizons and values your well-being, at all levels. Likewise, this transit aims to create routines that leave time for self-care and not only focus on production, without taking into account how exhausting it can be for you. It is worth noting that, during February 2019, you must be especially careful with this transit of Chiron, added to the presence of Uranus in the same location until March 5th; since, once identified the obstacles, you can feel driven to act, thrown all over the air, without taking into account the consequences. It is time to resist the Uranian temptation, and reflect. Chiron will be in House VI of the sign until April 2027, giving you enough time to analyse your current position, and decide what your true objectives are. For Scorpion students, the entrance of the asteroid Eros in the IX House, suggests the passion for beliefs and ideals. It is advisable that if something (or someone) really interests you, go to the bottom of the matter (do not stay on the surface). In 2019, House II of Sagittarius will be the centre of an important astrological convergence, which brings together Pluto, Saturn and the South Node. This alignment points to the responsible use of financial resources, the collapse of myths about money, and the structuring of a new scale of values. The subject will be won to put their economy in order, cancelling old commitments, and avoiding to request credits for superfluous purchases (or to make loans with the same purpose), because it is clear what is their main objective. The process can be stressful for the natives; however, the entry of Venus into this site on February 3rd, will help relieve the pressure, and observe the facts from a new perspective. With Venus in the House II of Sagittarius you will notice that every change must be driven by the love and desires of the soul; since, otherwise, it will only generate a deep dissatisfaction. The planet of desire aims to raise your awareness of deservingness, and to build a new relationship with money, based on respect in this energy, and the idea of abundance. On the other hand, the entry of Juno into the VII House of Sagittarius on February 11th signals the conclusion of important agreements, with a partner or mentor, that can re-boost your career or mark the beginning of a venture. In the same way, the entrance of the asteroid Eros in the VIII House Sagittarius on February 19th motivates the interest towards the proposals of the partner, and the conscious desire to work for the common good. In the workplace, the entry of Mars into the House VI of Sagittarius (February 14th), promotes the search for leadership positions in the work teams, and the passion to finish the pending assignments in the shortest time possible. Another feature associated with Mars in the VI House of Sagittarius, is the increase in the competitiveness of the individual, which can generate great discomfort among colleagues and colleagues in the environment. In this sense, it is worth noting that on February 18th the retrograde of the asteroid Pallas in the House XI of Sagittarius will begin, bringing with it disorganization and clashes in dealing with colleagues. Maybe it’s your turn to assume the training of someone new, or some colleagues are not completely convinced with your ideas, but before generating a conflict, review the project and make sure that its advantages are understandable to all. The entry of Chiron into the V House of Sagittarius, also on February 18th, is the opportunity to analyse your personal and professional goals, from the perspective of what you really want. The more you are passionate about your proposal, the better you can communicate it to others and add them to your side. Keep in mind that the Full Moon in Virgo of February 19th, will affect your House X, so it is about removing from the road what no longer adds to the professional future, that you want to build, and focus on what matters. In the same way, the New Moon in Aquarium of February 4th, will play the House III of the sign, multiplying your natural charisma when interacting with others, and integrate them to your cause. Do not forget that Lilith is also in this location, so it is not advisable to comment on your plans, before bringing them to light (only to people of the strictest confidence). The New Moon in Aquarium of the February 4th, will touch the House II of Capricorn, announcing a positive change in the financial situation of the natives of the sign. It may be a new venture, which involves joining a work group, or an occupation in which you have to deal with the public. Whether in the same company where you currently work, or as an individual (independent worker or consultant), the project will benefit your economy; nevertheless, it is necessary to take action to receive the fruits, and not rest on the laurels. Another aspect to consider during this season, is the entrance of the asteroid Juno in the House VI of Capricorn, which alludes to the commitment with the professional objectives, and its materialization. It is worth noting that Mars will enter the House V of Capricorn, on February 14th, so we talk about creative passion aimed at carrying out the ideas and proposed plans. In the same way, the entry of Mercury and the Sun into Capricorn’s House III (on the 10th, and February 18th, respectively), refers to the need to prepare for new responsibilities, through courses and workshops, that allow you to polish ideas and communicate them effectively. This alignment (Mercury and the Sun in Capricorn House III) is especially positive for those who work in the media, transportation, commerce or education, since it raises the appearance of curious professional opportunities and training. On the other hand, the Full Moon of February 19th in Virgo, will affect the House IX of Capricorn, which means the end of a series of procedures linked to academic institutions or international affairs. The lunar event can also indicate that your old life beliefs no longer correspond to reality, so it is essential to dismantle them, in order to advance (as suggested by Saturn, Pluto and the South Node in Capricorn). Finally, an aspect that can muddy the labour scene is the beginning of the retrograde of the asteroid Pallas, in the House X of Capricorn. This transit can cause problems in the plans of launching an idea or product, or even the projection of your image. However, you can take advantage of the retrograde of Pallas in your House X, learning to rank your goals; raising a flexible schedule; and integrating to the work team, in pursuit of common objectives. In general, February 2019 will be a positive season for the Aquarian economy. The entrance of the asteroid Vesta in House II of the sign, where Neptune is also located, will make it possible to clarify the priorities and efficiently manage the material resources. In fact, Vesta in the House II of Aquarius is an excellent ally for people who are in charge of the economic management of humanitarian associations, or charity events. Collaborating with a cause that moves you, will bring you a feeling of lasting satisfaction. Also, Mercury and the Sun will enter the House II of Aquarius (on February 10th and 18th, respectively), which means that the inputs of resources will be diversified, hand in hand with interesting business, employment or investment proposals. On the other hand, the Full Moon of February 19th in Virgo, will touch the House VIII of Aquarius, indicating that a pattern of expenses or consumption that involved the couple or family group, will come to an end, as all will be aligned with the achievement of a greater objective, in the medium or long term. In the workplace, the entrance of the asteroid Eros in the House VI of Aquarius (February 19th) can make you fall into patterns of procrastination, but if you stay clear on your goals (North Node in House VI), you will overcome the stumbling block. This trend will be reinforced with the entry of Juno into the House V of Aquarius (February 11th), which highlights the importance of committing to your personal projects (those that you love), if you really want to see them bloom. Jupiter and Ceres are kept in the XI House of Aquarius, which translates into inspiration and business opportunities (or employment), which come to you through friends and colleagues. The social gatherings will be at their best, as will the work teams. However, the procedures of academic type or associated with international procedures may present delays, due to the start of the retrograde of Pallas in the IX House of Aquarius. Faced with this type of situation, take advantage of the extra time to check if all the documents correspond to the requested, or if you must include new receipts or references. In the end, the balance will tip in your favour. On February 18th, Chiron will enter the II House of Pisces, where he will remain until April 2027, imposing a pattern of analysis on how you handle your relationship with money. In other words, the questions are based on whether you respect the energy of abundance, and work with an awareness of deserving, or simply a means to obtain the approval of third parties, buy affection, or evade reality. At this point, the review of negative beliefs about material resources is also included (“being rich is bad” “you have to sacrifice yourself working to live well”, among others). The fact that the Sun enters Pisces, on February 18th, and Uranus stays in House II of Pisces until March 5th, means that you will have the necessary mental clarity to identify the patterns that interfere in your life. Nothing could be further from reality. The presence of Chiron in the II House of Pisces, until 2027, tells you that to achieve healing it is necessary to invest time and a good dose of will, otherwise you will only reach the superficial layers of the problem, and you will relapse before each test. An important aspect that will accompany this process will be the retrograde of Pallas in the VIII House of Pisces (as of February 18th), which suggests disagreements with relatives or partners, with whom goods or business actions are shared. Differences of opinion arise to help you perceive that, in your optimism, you may be avoiding more sure and realistic ways, or letting the voice of reason listen, in search of a chimerical ideal or fantasy. With this transit (retrograde shovels in House VIII of Pisces) you will learn to trust your business partner or investment (family or partner), not as a child that needs guidance, but establishing a relationship that privileges trust and equality. In the workplace, the entrance of the asteroid Eros into the House V of Pisces, besides stoking the flames of romance, will give a greater boost to your creative projects. This stellar position, added to the presence of Mercury in Pisces (from February 10th, will provide you with the necessary tools to expose your ideas and proposals publicly. Mercury in Pisces is an excellent position for those who act as spokespersons for humanitarian or charitable organizations, as they will endeavour to get their message across borders. Finally, Jupiter and Ceres are kept in the X House of Pisces, which means that your actions today are building the professional image, which you will sell tomorrow. Do not give up on your goals. And with the entrance of Venus in the House XI of Pisces (February 3rd), you will have the support of friends and colleagues to realize your goals. But remember that Pluto, Saturn and the South Node are also in your House XI, noting that there is still much to learn in terms of social relationships, and it is the new experiences that will provide you with the key.